It was particularly to meet the needs of the small organization that the development of the Type 1213-A Unit Crystal Oscillator was undertaken. The oscillator has been proved very useful for receiver and transmitter calibration. The calibration of a good communications receiver can be accurately checked against the harmonic series and the receiver then used as an interpolating device for accurate frequency measurements. Usable 1-Mc harmonics extend to 1000 Mc, thus covering the new U-H-F TV channels, 100-kc and 10-kc harmonics to at least 250 and 25 Mc, respectively. With good receiving equipment, the 10-kc harmonics can be used up to 30 Mc and higher, thus covering the 28-Mc amateur band. The oscillator, when used in conjunction with the Type 874-MR Mixer Rectifier, can be used as a 1-Mc marker generator up to approximately 250 Mc. 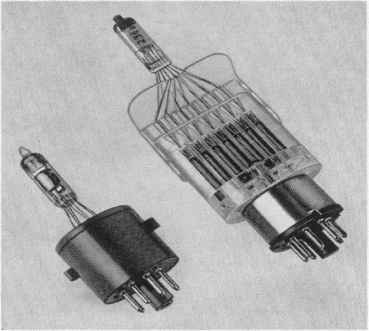 A stability of the order of one part per million can be expected for periods of several hours, if the room temperature is constant, and the crystal frequency can be readjusted at any time to agree with standard-frequency transmissions from radio station WWV, operated by the National Bureau of Standards. Daily checking against WWV is sufficient for nearly all ordinary meas urements, but still higher accuracy can be maintained by comparison at more frequent intervals, or by continuous monitoring against WWV transmissions.